Standard: Line (Strip), Bar, Area, Pie, Fast Line, Point (Scatter), Bubble, Arrow, Gantt, Shape, Horiz.Area, Horiz.Bar, Horiz.Line, Pointer style Hexagon. Financial: Candle (OHLC), Darvas, Kagi, Renko, Point and Figure, Volume, EquiVolume. Statistical: Box-Plot, Color Grid, Error, Error Bar, Error Point, Funnel (Pipeline), HighLow, Histogram, Volume Pipe, Waterfall, Horiz. BoxPlot, Horiz. Histogram. Extended: 3D Vector, Bezier, Contour, Donut, IsoSurface, Map GIS, Organizational Chart, Polar, Polar Grid, Point 3D, Pyramid, Radar, Smith, Surface, TreeMap, Tri.Surface, Tower. Other: Bar 3D, Bar-Join, Calendar, Clock, Image Bar, Image Point, My Point, TagCloud, Wind-Rose, BubbleCloud. Gauges series type and indicators (dynamic Gauges, Circular, Linear, Numeric, Knob or Combination). TeeChart's Gauges are completely configurable to give you full control of format, size, color and shape for your dashboard application. Provides library of map series with support for ESRI open standard map formats. Standard: Add, Subtract, Multiply, Divide, Count, Average, High, Low, Median Function, Percent Change. Financial: ADX, AC, Alligator, AO, ATR, Bollinger Bands, CCI, CLV, Compression OHLC, Exp. Average, Exp. moving average, Gator Oscillator, Kurtosis, MACD, Momentum, Money Flow, OBV, PVO, RSI, RVI, Slope, Smoothed Mov Avg, S.A.R Function. Statistical: SPC Charts, Histograms, Skewness. Extended: Cross points, Correlation, Cumulative, Custom y=y(x), Exponential Trend, Fitting linearizable models, Performance, Perimeter, Polynomial fitting, Reducing number of points, RMS, Smoothing function, Std Deviation, Trendline, Variance. Direct access to .NET data sources. Direct access to URL addressable Charts. TeeChart includes a set of 40 tools like Annotation, Color banding with Transparency, Custom Lines, Page numbering, Crossbar cursor, Mouseover tips, Background image display, Mousedrag Chart rotation, Point drag and nearest point information. You have control over the aesthetics of the charts with a set of 25 image filters. You can easily export charts as images (bitmap, metafile, JPEG, PNG, GIF, TIFF, PDF, SVG, EPS and native Chart format) and as data to Excel, XML, HTML, CSV (Text) and native Chart format. Builds and exports to Flash via Flex compiler. Stream export/import capability for BLOB storage and direct output to client (e.g. browser). TeeChart forms and string constants translated to 29 languages. The translation can be used at design-time and run-time. 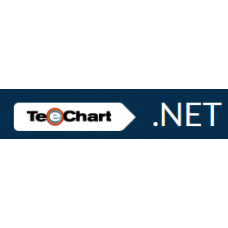 Direct high-speed addition of Array data to the Chart making TeeChart for .NET very quick! Very quick! 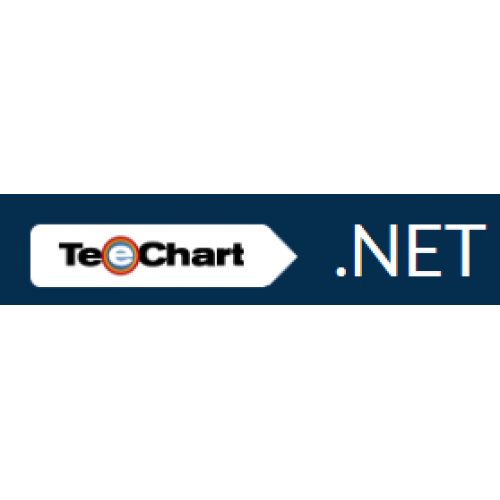 TeeChart now ships with a Direct2D rendering engine. This is ideal for the high speed data throughput required by DSP realtime applications. Charts can be scrolled and zoomed using the mouse or by code at runtime. Zoom and scroll features can be customized using chart properties and events. Includes 14 predefined themes enabling rapid change of many chart properties with a single mouse click. Color palette management, Transparency and anti-aliasing on all Chart object Pens, Brushes, Fonts and Gradients. Custom 3D Drawing Objects. You may distribute your charts royalty-free for use in compiled desktop applications. Includes Extensive demos for Visual Studio.NET including WinForms, ASP.NET WebForms and Compact Framework, code examples, Tutorials, blog articles, TeeChart wiki, etc. Add advanced charts to your Java applications.TeeChart for Java is an charting component currently i.. 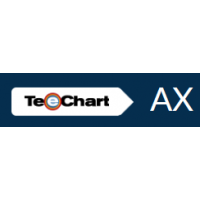 Create high performance dashboards and charting solutions.TeeChart Pro ActiveX is a charting control.. 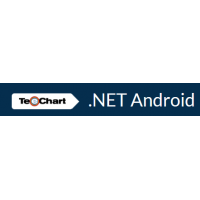 Charts, Maps and Gauges for Android development environments.TeeChart Charting functionality has bee.. Charts, Maps and Gauges for iPhone/ iPad development environments.TeeChart Charting functionality ha..